Most people think of Tecate and tequila when they think of Mexico — certainly not wine. But the Valle de Guadalupe, just 90 miles south of San Diego in northern Baja, is a rustic wine destination that’s already being called the Napa of Mexico. We say it’s even better. The region is one of the fastest-growing wine destinations in the world, with some 150 wineries, yet it remains unfussy and relaxed — and every single winery offers a distinct experience. Sip a bright rosé at Vena Cava, a winery constructed from upcycled materials like 1960s fishing boats; sample nebbiolos at Montefiori, a winery owned by an Italian immigrant who brought grapes straight from the motherland; or drink a bold tempranillo at Adobe Guadalupe while feasting on tapas from a food truck. In short: Check out the Valley ASAP, before it actually becomes Napa (pricier, more developed). 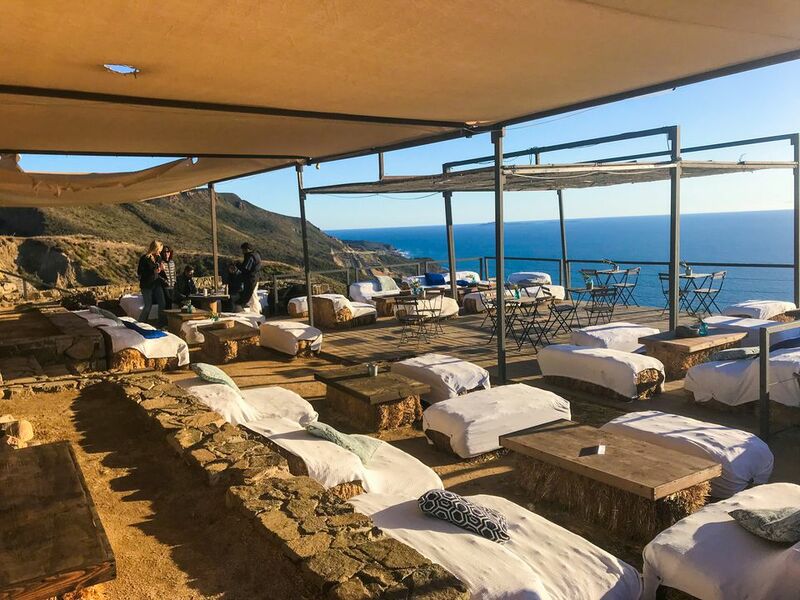 The trip is easily doable as a day trip or a long weekend from San Diego or Los Angeles; here are a few ways to get from Southern California to the Valle de Guadalupe. The quick growth in the Valley has brought an abundance of tour groups and guides who will take care of all the logistics for you, including pick-up and drop-off in San Diego, fast-lane border crossings back into the U.S., and restaurant orders made easy — not to mention a designated driver to take the wheel while you sip the region’s excellent reds. Boca Roja: Tim Barnes started Boca Roja in spring 2016 as a way to ditch the corporate grind. Today he runs a team of six who will organize private tours and drive your group (up to 14 people) around the Valley for a customized vacation. Choose specific wineries to visit, or just relax and let Tim and his team arrange an itinerary — they’re the experts, after all. Winery trips from San Diego or the cruise port in Ensenada are popular, but Boca Roja will also organize longer visits, surf adventures, and craft beer tours, any day of the week. Fun fact: Boca Roja literally translates as “red mouth,” named for that betraying purple stain wine gives teeth. Because every trip is customized, prices vary widely depending on your group size (larger groups pay slightly less per person), vehicle selection (upgrade to premium SUVs or vans), and tour length. Club Tengo Hambre: Started by two Mexico-focused bloggers, this hip gastro tour company dubs itself a “roving supper club.” Its organized wine and craft beer tours of the Valley include pick up and drop off in San Ysidro — the group will walk across the border together — transportation to each of the stops, and tastings and meals at up to six establishments. Baja Wine and Dine Tours: Gather 15 of your closest friends and fill up the “Wine Wagon” for an eight-hour tour through the Valle. Most packages from Baja Wine and Dine include three tastings and lunch, but you can set up additional winery visits if you have time (tastings or drinks cost extra). If you have a smaller group and your own vehicle, Baja will arrange a private, licensed chauffeur to take you around the region. Rental cars: If you rent a car stateside, your rental company might not allow you to drive its vehicles into Mexico. Check with any vendor before renting, and prepare to pay an extra fee or put a deposit down on your credit card if the rental is permitted. An alternative is to rent a car in Mexico; know that rates posted online often don’t include government-mandated insurance. Your own vehicle: Mexico does not accept U.S. liability insurance or coverage provided by your credit card, so you’ll need to buy an additional waiver for your time abroad. Check with your auto insurance provider for a quote on a separate policy for international travel. Uber has made it easier than ever to explore northern Baja without a car, even if you’re coming in from San Diego or Los Angeles. Expect prices to increase for rides that involve border crossings, and double-check that your data plan will work in Mexico if you’re going to rely on Uber. UberPassport: In 2016 Uber introduced its UberPassport service, which takes riders across the U.S. border into select sister cities for an extra charge. Simply select the “UberPassport” option where you’d normally pick a vehicle type. If you’re planning to take an Uber across the border, sign up for this service at least two days before you’re visiting Mexico; the choice won’t appear in your app otherwise. Note that this service only operates southbound. On the return trip, you’ll need to walk across the border into San Ysidro and hire an Uber or taxi stateside to your next destination. Uber in the Valle: Uber offers a seasonal UberVALLE service (typically May – September) that arranges an all-day private driver at slightly higher rates for visitors coming from Tijuana. You can select this option in the app where you’d normally pick an UberXL; expect to pay around $1800 MXN ($106) for the full day, depending on how many hours you spend at the wineries themselves. In the off-season, you can still use Uber to get around safely. Simply book a car as usual, then discuss an all-day option with your driver; you’ll pay for both the distance traveled and the time the driver spends waiting at the wineries. Aim for off hours: Many Tijuana residents commute into San Diego for work in the morning and head back to Mexico during the evening rush hour. On the weekends, the rush hours operate in the reverse, particularly late-night Saturday, when partiers are heading home, and Sunday afternoon, when weekend visitors are wrapping up their trips. Check the U.S. Customs Site: The U.S. Customs and Border Site offers real-time updates on waits for drivers, commercial vehicles, and pedestrian and land ports of entry. Use the site to monitor traffic and head to the border when wait times are minimal. Take the Ready Lane: Riders with select identification — including passport cards, Global Entry cards, and Sentri passes — may use the Read Lanes, which are slightly faster than the general lanes. The system works by detecting RFID chips in the cards; standard U.S. passports do not comply. Apply for Sentri: If you expect to travel across the border frequently, consider applying for a Sentri card, the land-border version of Global Entry. Candidates who pass an advanced screening and pay a fee may use an express entry lane for five years; all passengers in one vehicle must have Sentri.